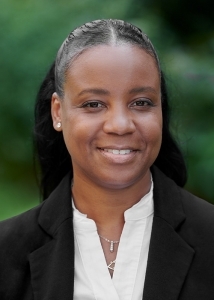 Kerley Hairston joined Birch Hill in May of 2018. Previously, she was a Portfolio Associate at Seaward Management. Kerley has over 25 years of experience in the financial services industry, including positions with MassDevelopment, Wellington Management and US Trust. Kerley has a BSBA in Finance from Suffolk University. She lives in Somerville with her family and enjoys participating in Project Bread’s annual 20-mile Walk for Hunger with her four sons. A: I support Gary with his accounts by assisting in all aspects of client service including client requests, portfolio maintenance, money movement and meeting preparation. A: We work together to deliver great service to all of our clients and our culture allows everyone at our firm to be the best that they can be. A: Being proficient and pro-active so that our clients and team are confident that everything is taken care of. A: I enjoy spending time with my family, friends and participating in healthy activities. A: I would volunteer in an organization that provides guidance to underprivileged youth so that they can grow to become successful in their personal and professional lives.